Home > Blog > Amy Campbell > Are You Food Insecure? This summer I had the opportunity to tour the San Antonio Food Bank in Texas. It was an amazing visit, seeing the warehouse stocked with donated food (including pet food! ), gardens and orchards for growing fruits and vegetables, and the staff and volunteers dedicated to helping the people of San Antonio who struggle with hunger. My visit was also a reminder of just how prevalent food insecurity is in this country, and it opened my eyes to the millions of people who have to choose between paying their bills and putting food on their tables to feed their families. No one should have to make that decision. I did a little digging and learned that food insecurity and diabetes are linked, and decided that this was something I wanted to share with you this week. We all know that people in the U.S. and throughout the world go hungry every day. And we may envision these people as living in abject poverty, perhaps being homeless. However, the term “food insecurity” may not be familiar to you. The USDA defines food insecurity as a state “in which consistent access to adequate food is limited by a lack of money and other resources at times during the year.” However, it doesn’t mean that a person or family lacks access to a grocery store or doesn’t have time to food shop or cook. People who go hungry may be those who have a job and who have a home, but perhaps, at certain times over the course of a year, say, at holidays or at the start of school, must choose between paying medical bills for a family member or buying Christmas gifts for their children and putting food on the table. It’s not uncommon for people to go through cyclical periods of food insecurity throughout the year; it’s estimated that the average food insecure household goes through an “adequacy-inadequacy” cycle seven times over the course of a year. When I was in Texas this summer, food insecurity was at a high point because children were out of school and could no longer rely on school breakfasts and lunches. What’s the link between diabetes and food insecurity? • Diabetes is a chronic disease, and for those of you have this condition, you know how expensive it can be to manage it. Someone who has diabetes is often forced to decide between caring for his diabetes and putting food on the table. • Food insecurity itself may put someone at risk for developing diabetes. 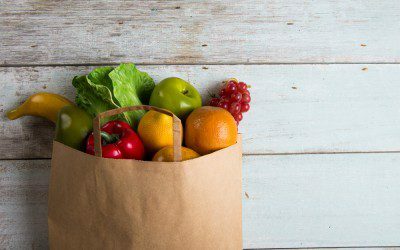 A person who has little money to spend on food may have less-than-healthful eating habits, and may feel forced to purchase and eat foods that can be accommodated in his food budget. Not surprisingly, these foods can be high in refined carbohydrate and unhealthy fats, and low in overall nutrition. It’s also not surprising that individuals with diabetes who are food insecure are more likely to have hyperglycemia (high blood sugar) and higher HbA1c levels; again, this can be attributed to an inability to afford diabetes medications; a high intake of processed, unhealthy foods; and a lack of regular physical activity. Hypoglycemia (low blood sugar) may occur with some frequency among people with diabetes who are food insecure. Research shows that these individuals are more likely to go to the ER due to episodes of hypoglycemia due to the inability to afford food. Other factors can make it challenging to adequately manage diabetes, including lack of access to a variety of healthy foods, poorer-quality healthy foods, lack of transportation to purchase healthy foods, a high availability of fast foods, obesity, stress, poor mental health, lack of opportunities to be physically active, and limited access to health care. If you have diabetes and have trouble affording food, either all the time or at certain times during the year, talk with your doctor or a diabetes educator about how to best manage your diabetes. Your doctor can prescribe lower-cost diabetes pills, for example, or switch you to a less expensive type of insulin. He or she can also refer you to patient assistance programs to help cover the cost of your medications and diabetes supplies. Visit the American Diabetes Association’s website for more information. Living with diabetes is an exhausting and often frustrating journey, but it has made Amy Mercer who she is. Bookmark DiabetesSelfManagement.com and tune in tomorrow to read about some of the silver linings she’s found in living with the condition.